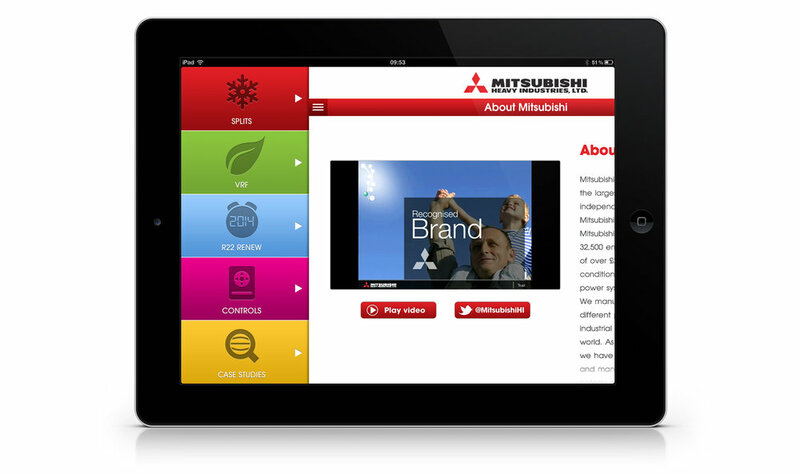 iPad app to be used by the UK Mitsubishi sales team as a digital catalogue for their air conditioning range. 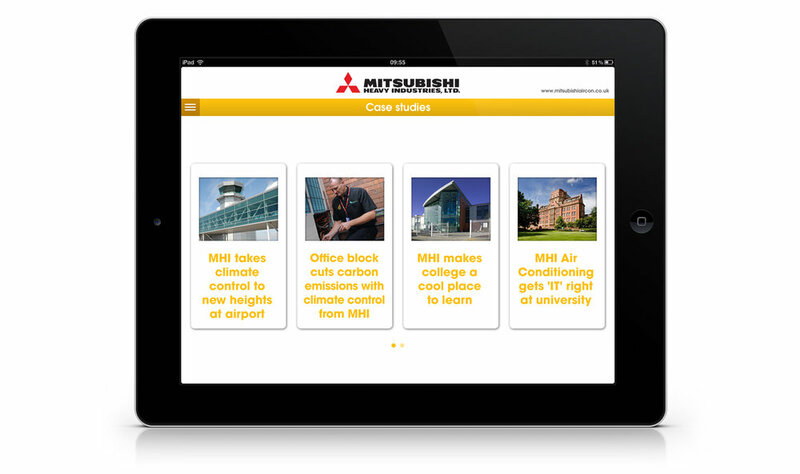 The app took data and product information from the Mitsubishi air conditioning website, but presented it in a more engaging manner, with a sales-centric focus. It also featured case studies, and relevant data about the (then) upcoming UK legislation which would ban the use of R22 refrigerant. I designed the app at Net Mobile - a small mobile app and web agency in London. I was the sole designer for the project and worked closely with the account manager and developers. We also built a similar app for Toshiba in the same year. The homescreen for the app, plus the slide-out menu. 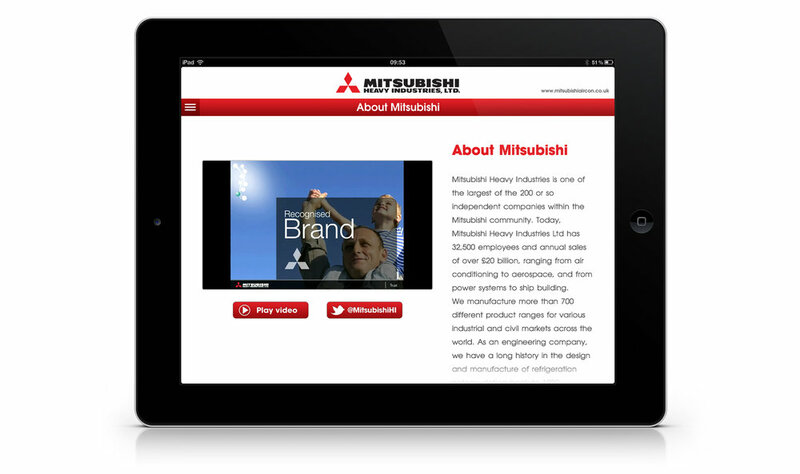 A walkthrough video I made for my agency to showcase the Mitsubishi app. Information about the (then) upcoming UK legislation which would ban the use of R22 refrigerant. 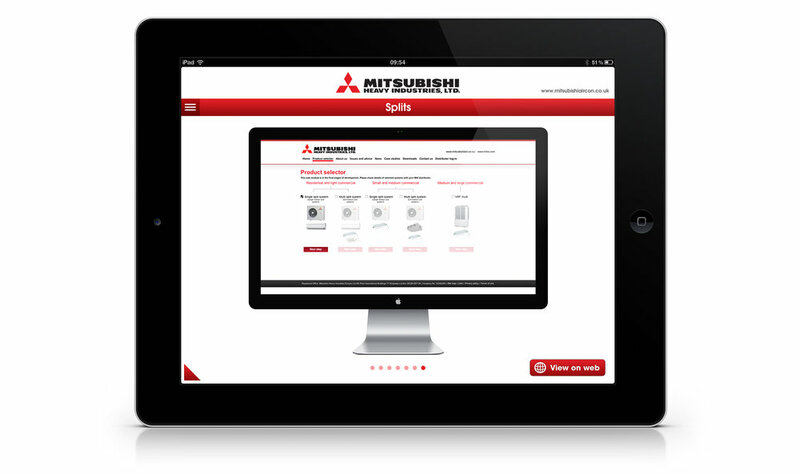 Product selector screen: showing how customers can browse different models on the Mitsubishi website.